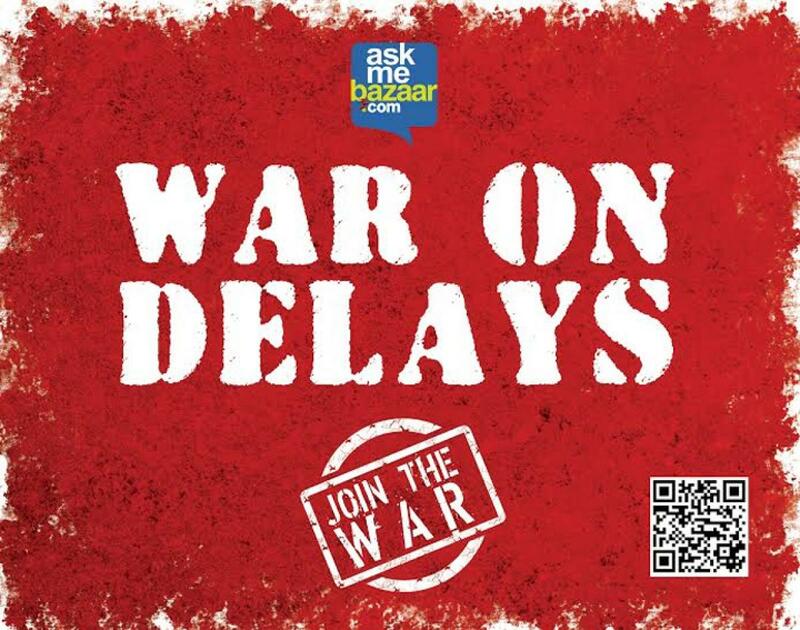 Keeping up with its commitment to offer a memorable shopping experience, AskmeBazaar.com, today announced a ‘War on Delays’. The innovative campaign that will also run extensively on various online channels is aimed at combating delays in deliveries of products to the customers as well as addressing the challenge of delays in refunds. The ‘War on Delays- Deliveries’ campaign will be backed by two new delivery mechanisms launched by the brand that promise the fastest and the most efficient delivery standards in the country. The first one is the NDD (Next Day Delivery) service that offers next day delivery of products across top brands and is currently available in top 25 cities in the country. The company plans to scale this up to another 25 cities in the next couple of months. The second offering is the Same Day Delivery service that promises delivery of grocery within 4 to 6 hours of placing the order. This service is available in 14 cities currently and will be scaled up to cover 27 top citiesin the next 3 months. The ‘War on Delays- Refunds’ campaign is designed to improve the efficiency of the refund process with the objective of creating customer delight. The company has revamped its entire refund process and automated it to reduce turnaround time and enhance efficiency. The company has invited buyers from across the country to come forward in large numbers and raise an alarm in case of any unpleasant experience with regards to delay in refunds or deliveries. It promises immediate and corrective action.